As soon as the drums kick in on lead track “Bend to Break,” it becomes clear this is not your typical atmospheric dream pop offering. It’s more like surf rock-meets-shoegaze-meets classic girl group, and yes, that’s a thing I want to listen to. 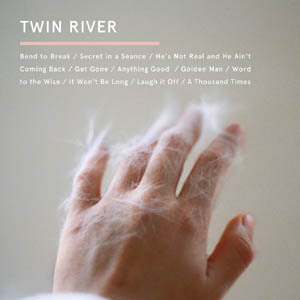 Twin River’s full length debut album Should the Light Go Out is a far cry from their balladeer days performing as a duo in Vancouver. “Secret in a Seance” follows up the lead track with a slightly slower beat, but the same intensity that shows off lead singer Courtney Ewan Bromley’s dreamy but sharp vocals. Her tone is highly unique, and allows her full range to shine from track to track. To follow this up with the synth-heavy “He’s Not Real and He Ain’t Coming Back” exemplifies what I connected with in the variety of mood and melody presented by the band; Bromley’s hypnotic vocals align seamlessly with the expansive, other-worldly keyboards (provided by Rebecca Law Gray, who holds down the center of the entire record). “Get Gone” follows and seems to pull elements from all three tracks that precede it with an sophisticated ease. It’s a gorgeous tune, and a standout among 10 very good tracks. “Anything Good” steps even further out utilizing guitarist Andy Bishop’s vocals in addition to his searing guitar work to expand that vintage, surfy punk rock sound. It’s a great song that literally busts out of nowhere. “Word to the Wise” is another gloriously good example of where this band is headed; it stomps and frolics through blazing guitar riffs and super fast drumming all topped with Bromley’s dynamic and darkly charming vocals. This is a definite favorite and a song I could (and did) listen to on repeat. This vintage, sun-streaked vibe Twin River has created is a world unto itself; it’s one that you want to wrap yourself up in. It’s fun, loud, occasionally weird and brimming with life. 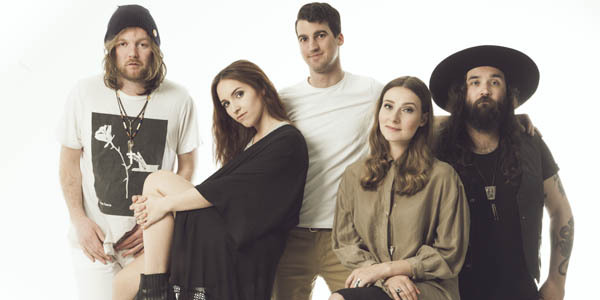 Gone are the sad songs of disaffected youth, and in its place are the genre-hopping, rhythm pumping, warm and fuzzy tracks that populate Should the Light Go Out. It’s like a musical romp through their very own wonderland of sound. And you should get into it.